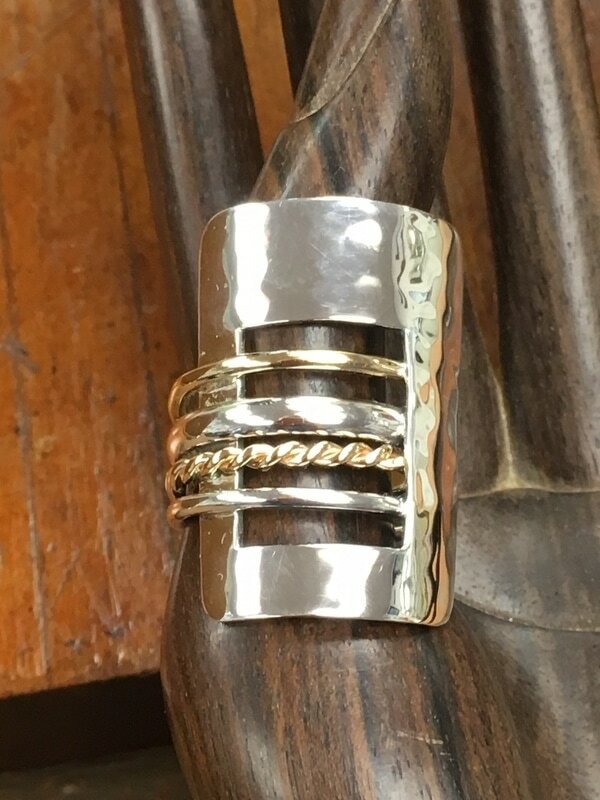 Hammered sterling silver and twisted gold filled wire create this classic Carolyn ring. Silver mesh, oxidized silver wire and gold filled wire team up for a contemporary & dramatic look. Another Carolyn ring classic in sterling silver and gold filled. 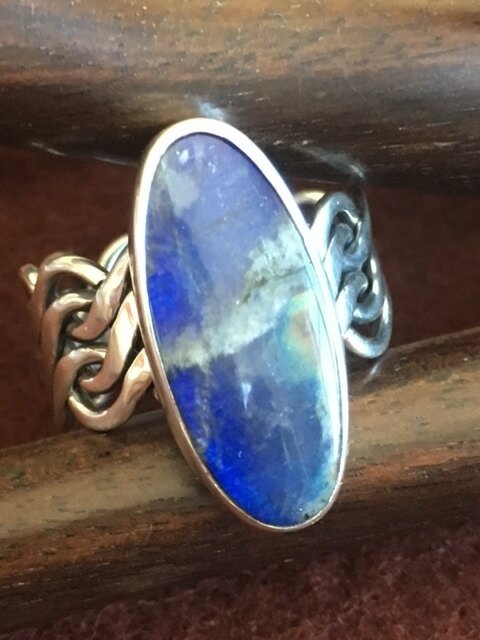 This Chalcedony is as blue as its waters! Set in sterling silver gallery wire with a beaded wire shank. This misty blue Chalcedony with its high dome cut creates a very regal look. 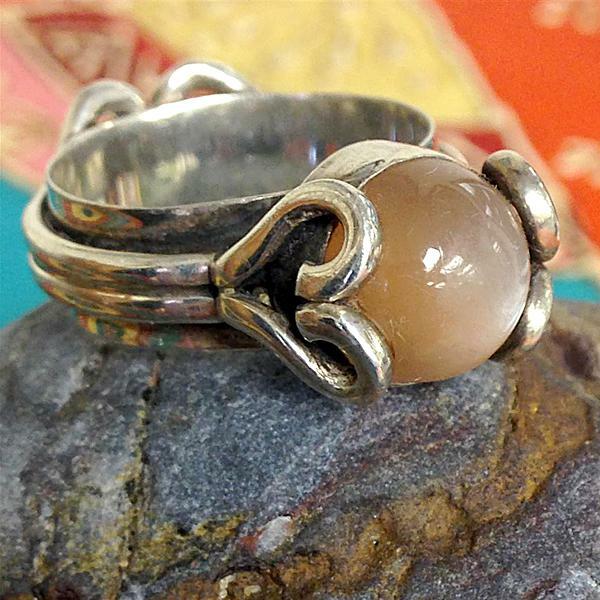 Sterling Silver hearts cradle this luminous salmon Moonstone. Hearts joined at the back create an interest from every angle! It's just the chatoyancy of this incredible Labadorite! Wear a bit of sunshine with this Sunstone set in sterling silver then wrapped in gold filled braiding. 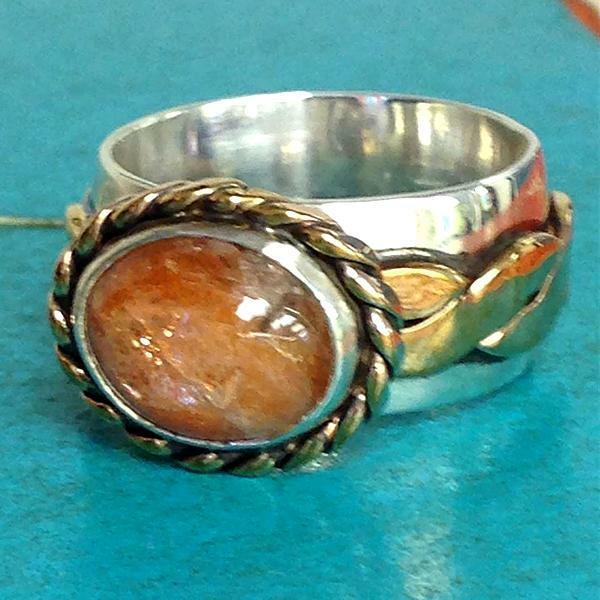 Amber and Chrysoprase team up to create quite a vibrance on this sterling silver oxidized ring. Decorative cutout in the back allows your finger to breathe. 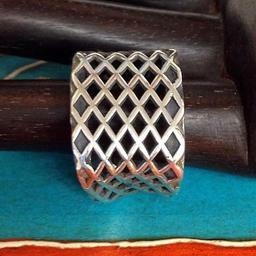 Strong meets delicate describes this sterling silver mesh contoured cast ring. 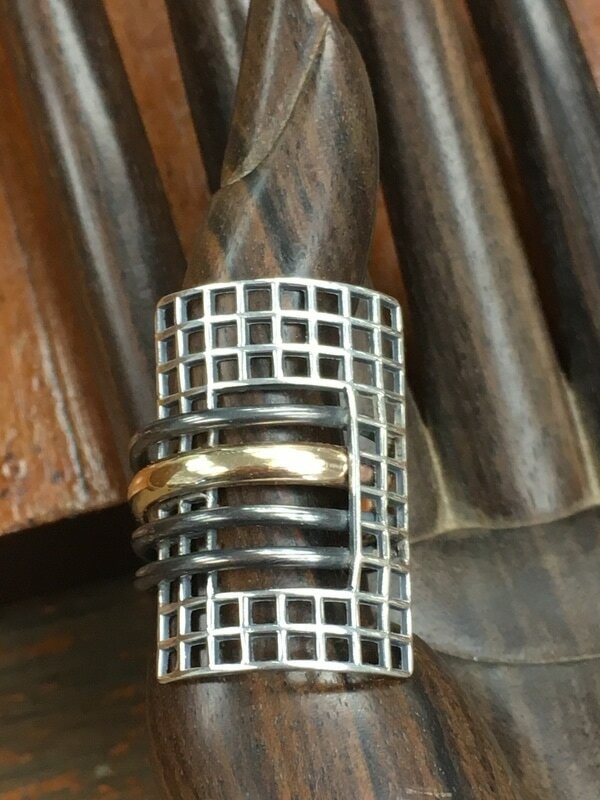 Woven strips of wax were cast into sterling silver on this light and airy lattice work ring. 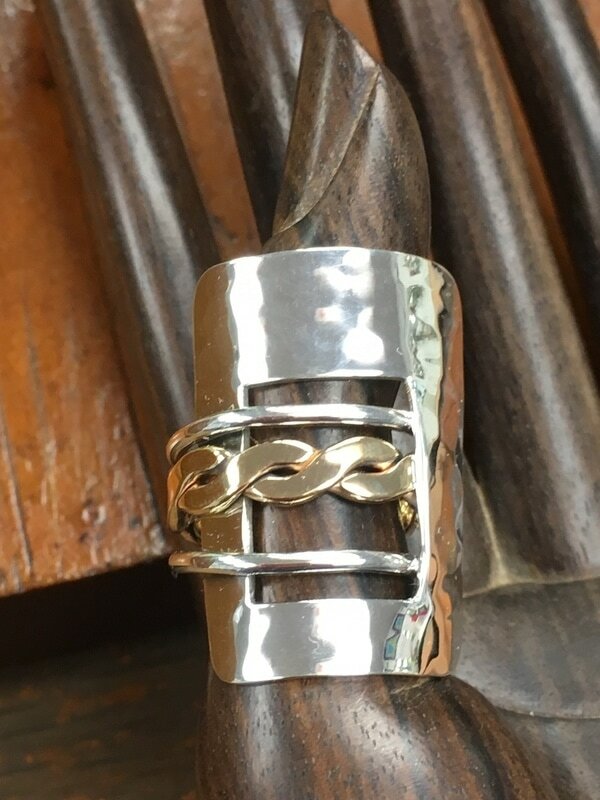 My hand carved feather debuts... once again, on this "simple sophistication" sterling silver ring.